A total of five new buildings were added to the Jamestown S'Klallam Tribal Center in an expansion program over a period of five years. 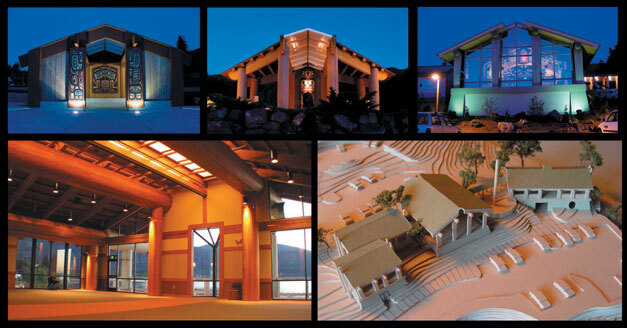 The buildings provide spaces for a diverse variety of tribal functions, from meeting and office spaces to interpretive facilities and a dental clinic. All are linked by covered walkways, glass bridges, and art plazas. Ancient principles of design helped generate generate the forms. All buildings are designed to embrace monumental art, while contemporary lighting adds a magical glow in a land of somber skies.